Nokia to unveil Nokia Lumia 910 and Lumia 920 on September 5 ? Home2012Nokia to unveil Nokia Lumia 910 and Lumia 920 on September 5 ? One of the company’s which has the most to gain from the success of Windows Phone is Nokia. 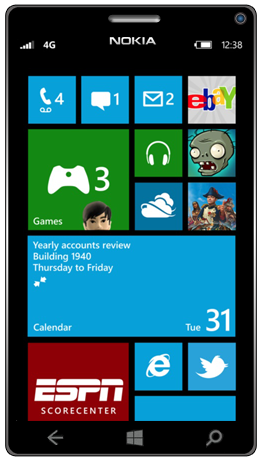 So its no surprise that the mobile manufacturer will be first in line to reveal Windows Phone 8 devices. A recent report suggests that the finish company will have two Windows Phone 8 devices ready by Nokia World on September 5 – The Nokia Lumia 910 and the Nokia Lumia 920. The Lumia 920 was previously leaked through Nokia’s RDA labs, but the Lumia 910 is not a name we have come across yet. We assume that the devices will follow the successful design of the Nokia Lumia 900 based on the choice of the name, but we wont know for sure until Nokia reveals what they have been working on. Meanwhile Microsoft has still to share more information on the latest version of their mobile platform, which they are silently working on since they first revealed the operating system back in June. With Samsung, HTC and Huawei all working on Windows Phone 8 devices, we will hopefully have a nice lineup to choose from when the operating system is made available to the public.